McDonald's CEO Promises 'Modern, Progressive Burger Company' : The Two-Way "The reality is, our recent performance has been poor," McDonald's President and CEO Steve Easterbrook said in a video released Monday. 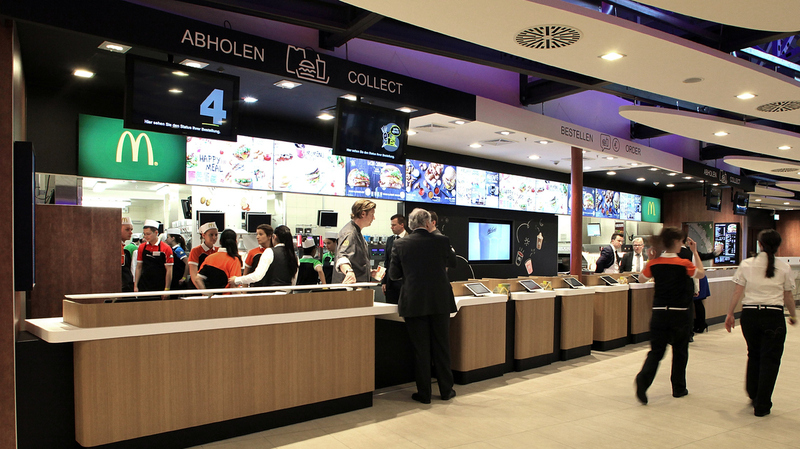 Under a new global structure, McDonald's is grouping markets in Germany where a new McDonald's Flagship Restaurant opened in March, with other high-performing countries such as Australia and Canada. Looking for new growth and promising better restaurant experiences for customers, McDonald's President and CEO Steve Easterbrook is changing how the chain manages global markets and plans to boost the number of franchised restaurants. "The reality is, our recent performance has been poor," Easterbrook said in a video released Monday. "The numbers don't lie. Which is why, as we celebrate 60 years of McDonald's, I will not shy away from resetting this business." The United States: more than 40 percent of operating income in 2014.
International Lead Markets: Australia, Canada, France, Germany and the U.K., where established markets represent another 40 percent of operating income. High-Growth Markets: China, Italy, Poland, Russia, South Korea, Spain, Switzerland and the Netherlands (10 percent of operating income). Foundational Markets: Around 100 markets, which will mostly be franchised (independently owned). Calling it "a global turnaround," Easterbrook, who was named CEO in January — after a year in which global sales and revenue decreased — said McDonald's will become a "modern progressive burger company." "McDonald's has been struggling in recent years to keep pace with fast-casual chains like Five Guys and Chipotle Mexican Grill. "So the fast-food giant is testing different menu options to lure back customers. Starting later this month, McDonald's diners will be able to choose a $4.99 sandwich — the Sirloin Third Pound burger." Other changes Marilyn covered included a new range of toppings, all-day breakfast and new pastries, such as a bundt cake. Aside from the promises of better food with better service, Easterbrook's video address was also notable for his ability to keep his eyes open for long periods of time without blinking. By our count, in one stretch, he went nearly a minute without closing his eyes.